Summer brings its own set of woes and sweet pleasures each year. Rather than crib about the heat , one should enjoy the yummy stuff that nature provides during this season . Yes , its the fruits 🙂 . Mangoes and Watermelons make a grand entry during the month of February and exit in June. These are the Summer months. 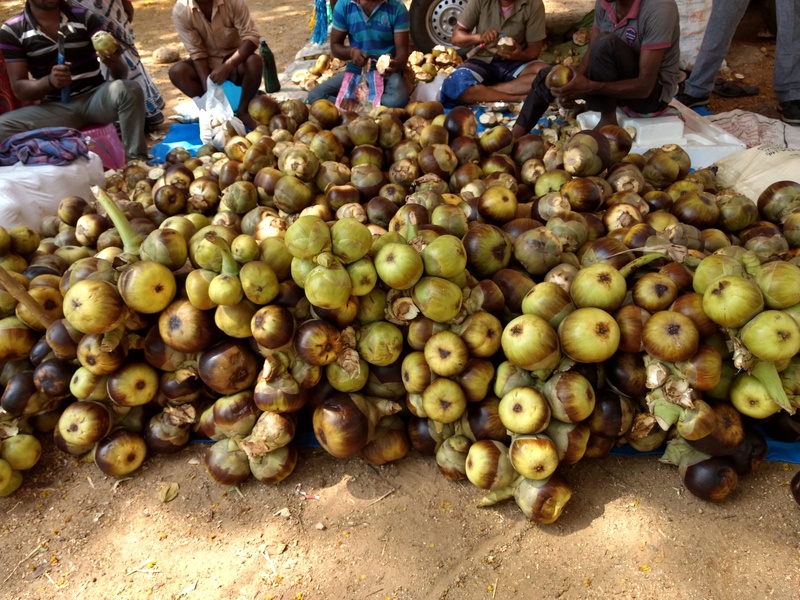 During Summer , in Hyderabad, Jackfruit , Seema Chintakaaya / Jungle Jilebi , Figs and Palmyra fruit also make an entry. Unlike Mangoes and watermelons which are sold in almost every street corner , these are usually spotted only at the bigger farmer’s markets. There was a time when the city dwellers could lay their hands on the Palmyra fruit only if they visited their parents / grandparents who lived in villages and towns , far from the city. That’s where the Palmyra trees grow. These trees almost grow wild. They are hardy and don’t require any special care. I too would get to eat this Palmyra fruit when I visited my Grandparents village during peak summer. 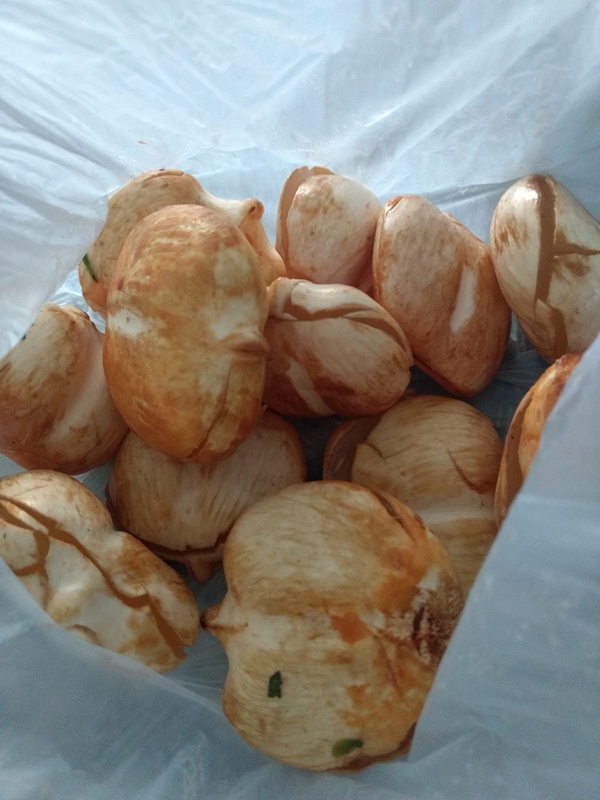 There were times when I used to spot a hawker selling these in the city, but they would be the more mature ones which are hard ,rubbery and bland instead of the tender , sweet and juicy ones. The hard ones can upset the tummy. 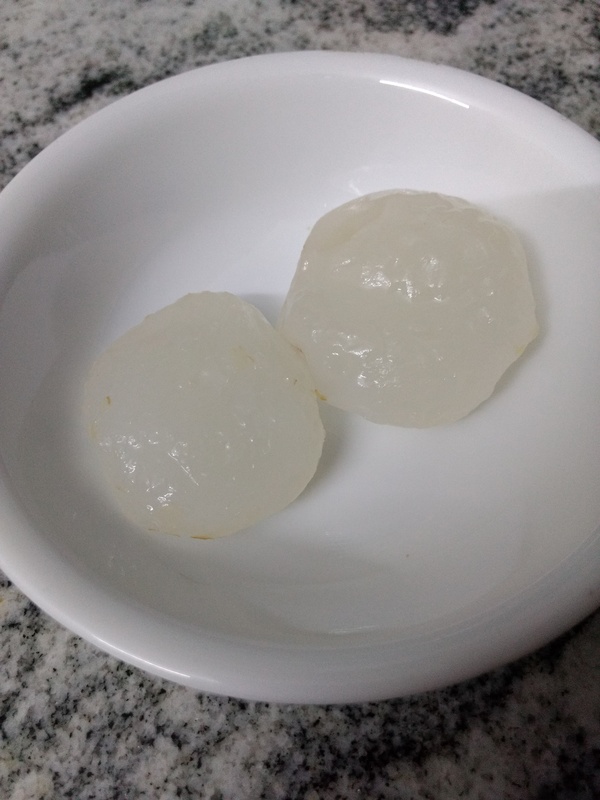 This tender ,jelly like fruit has a cooling effect on the body , does some good for the digestive system and has several vitamins and minerals. Since past few years I have been coming across vendors selling whole bunches of the fruit in the city. We can pick the fruit of our choice and they would cut it for us. One can buy the whole fruit or get the pods removed. These are whole bunches of the fruits. This is how the fruit appears when the top part is carefully removed using a sharp sickle. Each fruit has three pods. The pods have a creamy brownish layer. 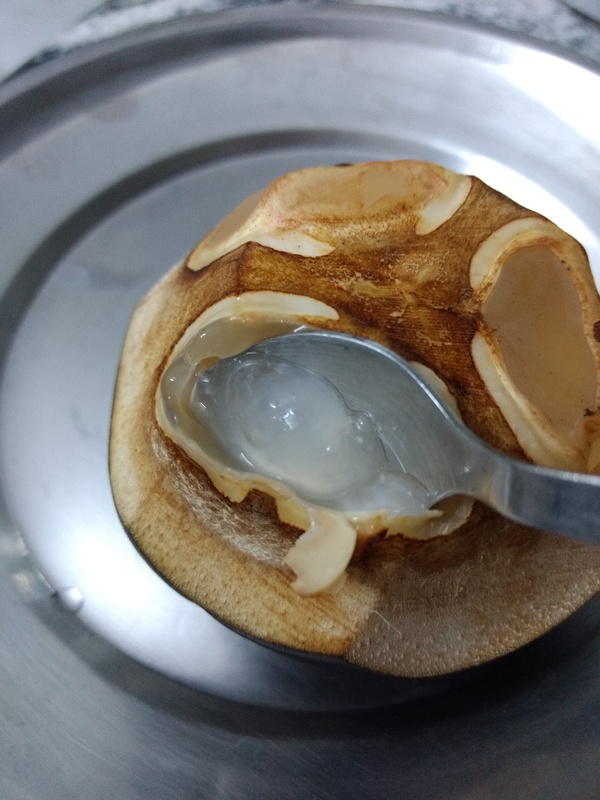 Remove the outer creamy brownish layer to reveal the translucent fleshy fruit. Trying to remove the pods out of the fruit is tricky and not advisable as the fruit is easily bruised and the sweet juice is lost. This method ensures that the juice is intact. I have fond memories of eating these sitting under the Palmyra trees in Granny’s village . We would reach the fields by 5pm, a guy nimbly glides up the tree along with a sickle and cuts off a few Bunches. They fall from a height of 15-20m with a thud. He then expertly cuts them open revealing the white translucent fleshy pods. Grab these if and when you come across them and enjoy the delicious fruit !! 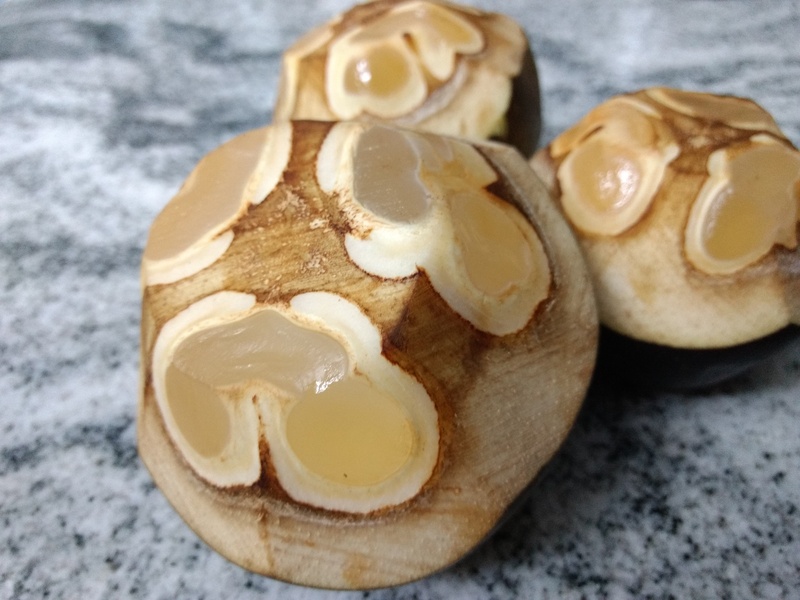 Categories: fruits, Health, village | Tags: fruit, How to eat, Hyderabad, Ice apple, Palmyra, Summer, thaati munjalu | Permalink.